The first thing Mabel did to change my life was get me into a library. I’d never spent more than two hours at a time in library and that was in high school! And here I was spending whole days at the Yale Bieneke library, when they opened till they closed. Sitting near people who were looking at the Guttenberg Bible for goodness sakes. Mabel was prolific to say the least. there are 1500 pounds of journals, essays, stories, scrapbooks, letters, articles and unpublished novels. 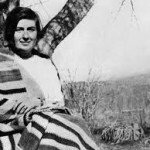 Not to mention her published 4 memoirs and book on D.H. Lawrence as a book Winter in Taos. I was overwhelmed by the sheer volume material and complexity of the woman and wanted to quit. This entry was posted in Blog on June 29, 2015 by LeslieHarrellDillen. Hi Friends, I hope you will join Mabel and me in my first blog as we prepare for my solo show on her August 6-16 at The Santa Fe Playhouse. 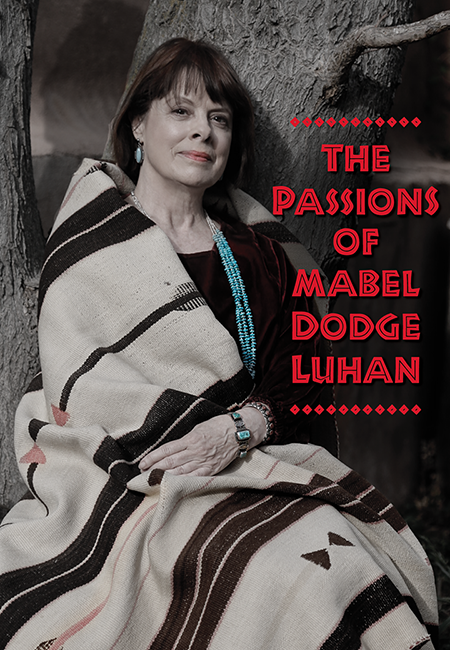 Mabel Dodge Luhan was the notorious, much-married art patron and symbol of the New Woman in the early 20th century. 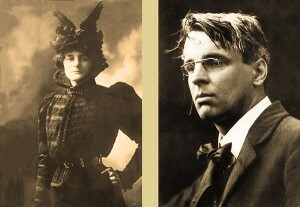 Mabel’s life connected important social and intellectual issues as well as artists and writers such as Georgia O’Keefe, D. H. Lawrence and Willa Cather. Mabel was a woman who celebrated life with each breath. 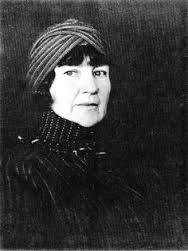 I let Mabel’s words shape the play. 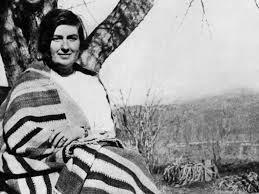 I was the editor, taking passages from her books, essays, and weaving them together. The passages I chose reflected my personal response to her. 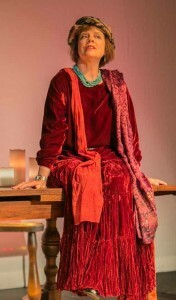 Writing in Mabel’s words, performing the show in 1994, I didn’t realize how much Mabel would change my life. This entry was posted in Blog on June 26, 2015 by LeslieHarrellDillen. This entry was posted in Blog on June 13, 2015 by LeslieHarrellDillen.